The Breeders’ Cup completed an extensive out of competition pre- and post-race testing program at this year’s championships, including testing of 289 horses. This year, the organization continued its expansion of its most comprehensive testing program. Out of competition testing began in June with all Breeders’ Cup Challenge winners and other targeted possible starters in both North America and overseas, and continued right up until the Championships at Churchill Downs. 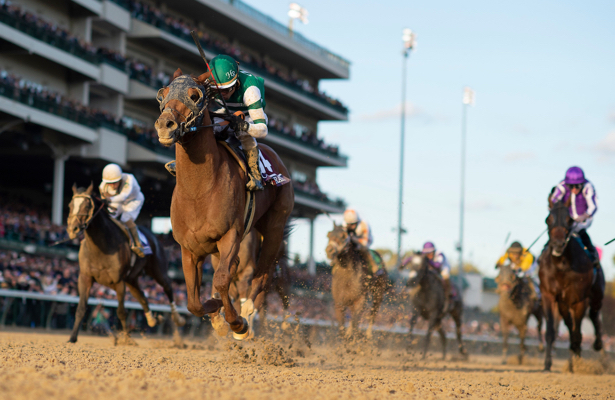 All post-race samples collected from 2018 Breeders’ Cup World Championships starters were cleared by Colorado-based Industrial Laboratories. Breeders’ Cup engages an OOC testing coordinator, William Farmer, DVM who worked with regulatory associations and with testing laboratories around the world, including the British Horse Racing Authority’s Lab LGC, France Galop’s official Lab LCH and the Kenneth L. Maddy Equine Analytical Chemistry Laboratory at the University of California-Davis. All three labs are certified by the International Federation of Horseracing Authorities. The executive council of the IFHA also specifically endorsed the updated protocols of the Breeders’ Cup which were put in place in advance of last year’s World Championships. All horses competing in Breeders’ Cup races also underwent pre-race testing for total carbon dioxide (TCO2) levels in blood.Industrial Laboratories then conducted post-race testing of both blood and urine samples for prohibited drugs, including cobalt, collecte from the first four finishers in all Breeders’ Cup races and any additional random horses selected by the stewards consistent with KHRC protocols. The program tested for anabolic steroids, blood doping agents and growth hormones, among others.